Home / News / Theoretical Interpretation of EEG Released Today (New Book)! After several years in the making, we are very excited to announce the release of the book, The Theoretical Interpretation Of Electroencephalography (EEG): The Important Role of Spontaneous Resting EEG and Vigilance by Gerald Ulrich, M.D. We hope that this book becomes a valuable resource in your EEG clinical practice or research activities. The Theoretical Interpretation Of Electroencephalography (EEG) is an advanced guide to a theory-based interpretation of EEG. We believe that it is a groundbreaking release for those who work with EEG, and the first known book published on this topic. The Theoretical Interpretation Of Electroencephalography (EEG): The Important Role of Spontaneous Resting EEG and Vigilance can be ordered online here. This book is also available worldwide by all major internet retailers (Amazon, Barnes & Noble, etc). We anticipate a digital release of this book to be available at Amazon Kindle and Google Play in the next two weeks. For those of you who pre-ordered this title, your order will ship today. For those of you who did not pre-order this title, you can still receive a 20% discount by signing up for our newsletter. You will receive a 20% discount code via email that is exclusive to newsletter subscribers. Hurry though as this discount code will expire June 21, 2013. Thank you for your valued support of all of our book titles. Previous post: Preorder Discount (ENDED) – The Theoretical Interpretation Of EEG – Upcoming, New Book! 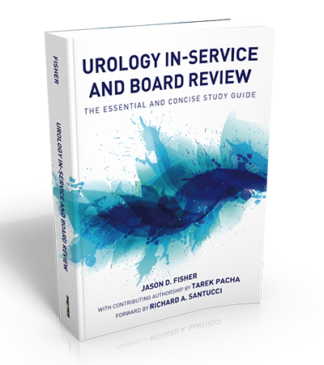 Next post: Pre-Order Discount: Urology In-Service and Board Review (Book) – Now Available!